i also did little makeover. 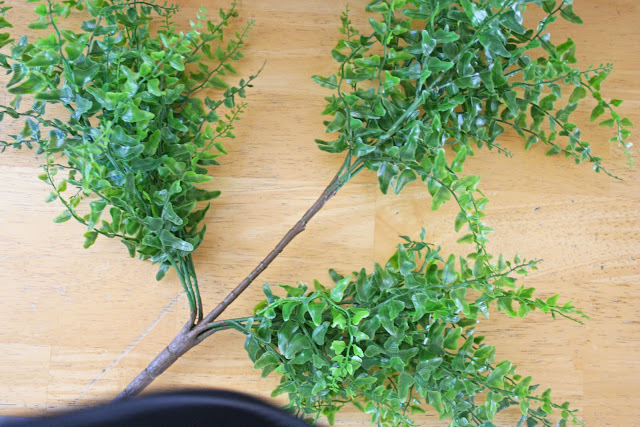 i took this fake bush i bought with every intention of doing something with (like last year)...and brain stormed and came up with: prune the heck out of it. and ended up with a little more spring come into summer decor. i'm off to walmart for my weekly get everything i need for the week because it takes 45 minutes of driving through the mountains to get here trip...wish me luck. It looks great! I would love to look through that book! I think she has a wonderful team of people that know what she likes. Wouldn't that be awesome...like a dream! I know what ya mean!! It's a good 45-50 minute drive for me to get anywhere. The nearest store, library, gas station, etc. But I love living out in the boonies... wouldn't trade it for town EVER! That is too cute! So simple, yet I would never have thought of it :). I just found your site and am anxious to poke around in it! I've now got to go to the bookstore for Martha and the vampire books(you know--the ones that replaced Edward)--I looked at the library yesterday, but all checked out! jealous here that you have the book. tehehe. love your little makeover project. and the storm tater...LOVE it. do they have the darth vader one too??? I am so hoping that my library gets a copy of that book! 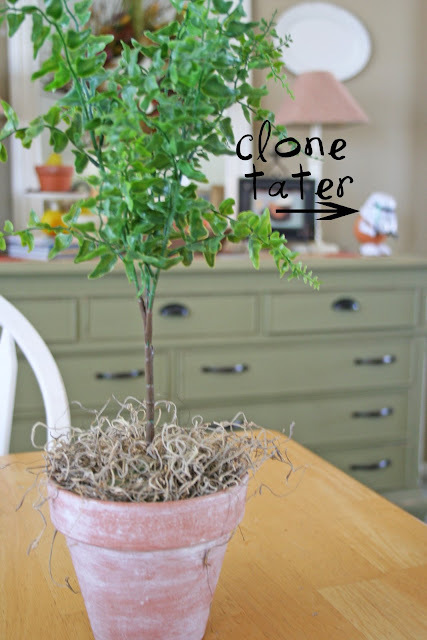 What an awesome project and who doesn't love a clone tater!!!??? i have heard horrible things about her. a friend of a friend who worked with her. yada yada! still, her and her entourage are freaking fantastic! That is a cool Project. I am a Martha Follower. LOL I have the liquor spouts on my soap bottles! I had to comment on the Storm Taters. We have those and Darth Tater. I can not tell you how many times my son leaves his action figures posed somewhere, then I go to take a pic of something and there it is in the background! I love that my son isn't the only one who does that! I like your bog. It has been fun taking a look at what you have done! Gotta love that Martha! I have been curious about her new book, love getting a peek inside, thanks! 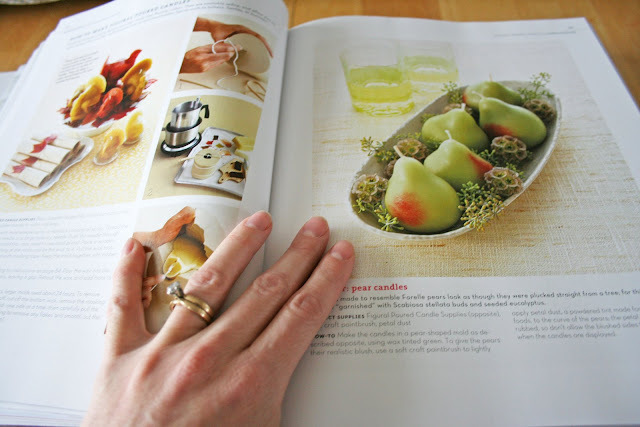 I showed the Pottery Barn Home book yesterday. It's a KEEPER! The book looks great. I'll have to go to Books A Million and see it, too. I like what you did with the tree. It's a great idea. I picked up Martha's book at B&N today and FORCED myself to put it down, knowing that I'd get myself into too many projects when I have so many already going on! 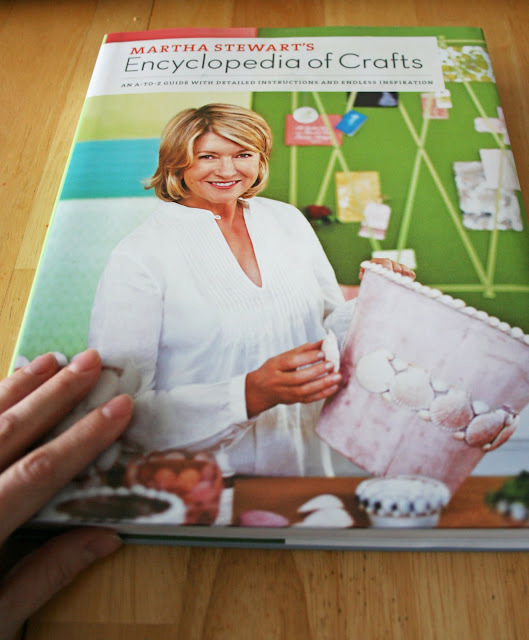 So I didn't know Martha was doing a craft book, that could be dangerous. Thanks for the postive shout out...I said I didn't need it, but it was surprisingly needed anyway. AND the dress, got it at TARGET...is there ever any doubt about where to get super cute stuff on a budget? Love it! I totally agree with you on (both) conclusions a) and b), but still admire/am envious of her anyways!!!!! A surprise copy of THE BOOK was delivered to my house today- courtesy of my sweet mom. I can't stop looking at it either, and I squealed out loud when I saw that there were templates in the back!!! I'd never have bought it for myself but I will wear that book out, for sure. 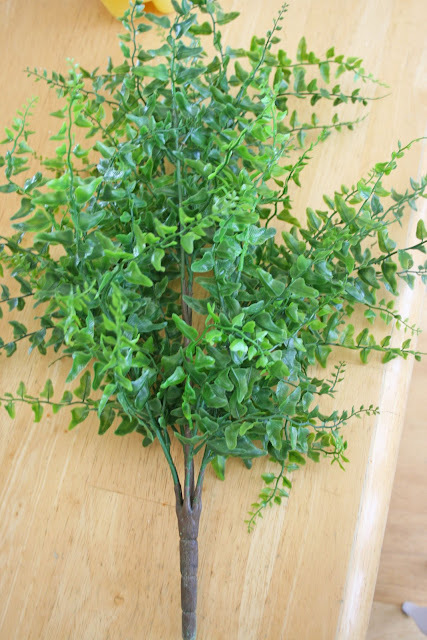 Love your new little topiary. Very fresh. Can't imagine going that far to Wal-mart...I go several times a week. I would really have to prepare. Oh my gosh I want this book so bad. This is a great reason to take a field trip to the book store this week with the kids off! Martha really does have a tendency to make me want to stab myself with the decorative scissors. I've wondered if I won't buy the book and then feel like I have seen it all before...so it's good to know someone liked it. I ordered the book last week, I can't wait for it to come!! Hey girl! I found this really cool blog and today they were giving away material and I immediately thought of you. If you haven't seen this you should check it out! I think Martha IS the "A"! Ok, not really. That was mean of me. But I sure would rent her my soul if I could be a member of her team. Ok, a weekend rental. And that's all she gets. Just a weekend. Better yet, she can have me for a Saturday - and I get full per diem and she flies me out 1st class. I'm itching to see the book. Next time I'm over the hill and trough the woods, I'm going to pick up a copy.